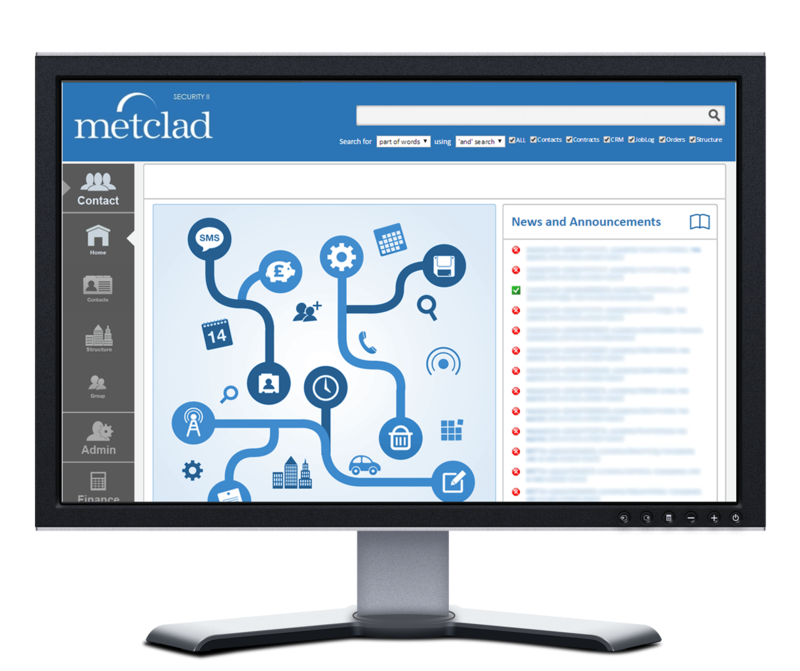 Metclad Contracts Ltd had a primitive system for placing orders and managing contracts, they spoke to us about wanting a more intelligent solution that would help manage workflow as well having an integrated CRM. The solution was a system that made these tasks easier by having sections for contacts, stock, contracts and purchase orders that shared data and didn’t allow for human error when entries are keyed in. Also security profiles was put in place which prevented certain users from accessing parts of the system they didn’t have authority to see. The contact page stores all the company’s contact information. By storing information on this page the staff were able to access details about people quickly when it was required. 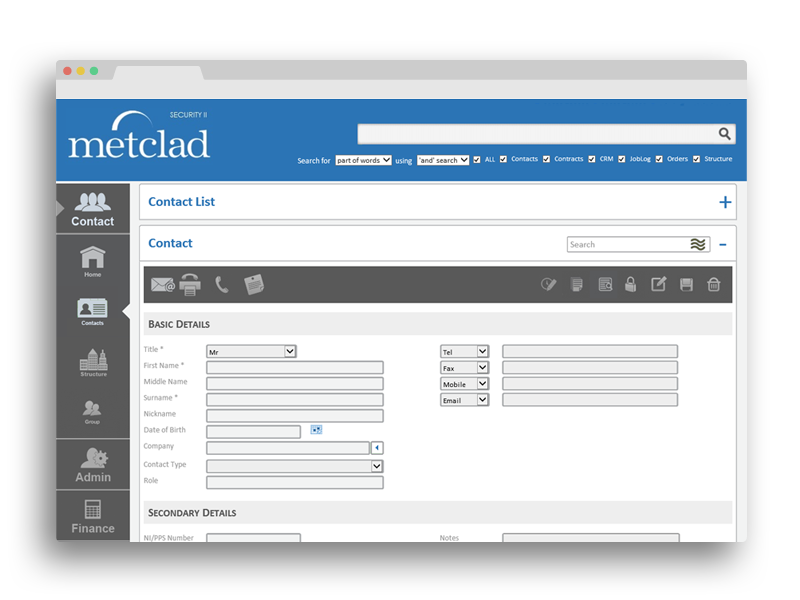 The contact page also includes company staff members with their records also including a log in account, this meant when the staff member accessed the system it immediately recognised who they were and didn’t require a second log in. Only staff members with a log in account could access the system. It was important for the Purchasing Order staff to be able to produce a purchase order quickly with a minimum of fuss. Contacts for the supplier company were easily accessible, the purchase order number could be generated automatically, an action log of the purchase order history could be stored and an unlimited number of file attachments could be uploaded. Also only stock that was supplied could be selected for an order to prevent order mistakes. A simple click of a button generated a PDF document that was then sent on the supplier with the file attachments.